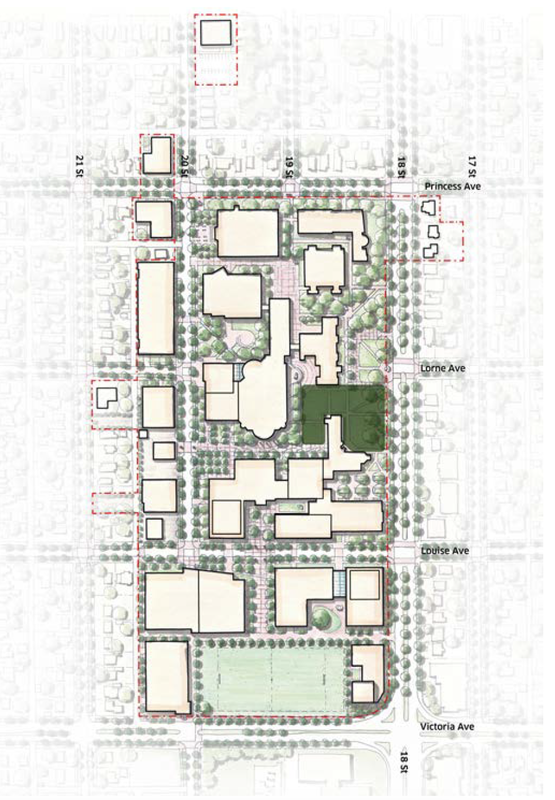 The Quad should be visible and accessible from 18th Avenue as a welcoming and animated open space fronting the Campus, to draw the community in. 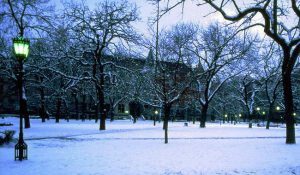 The Quad should be designed as an open grassed area with pathways that link to building entrances and pedestrian circulation routes. Existing and new trees should define its edges and frame the space, providing opportunities to enjoy the space in the shade. 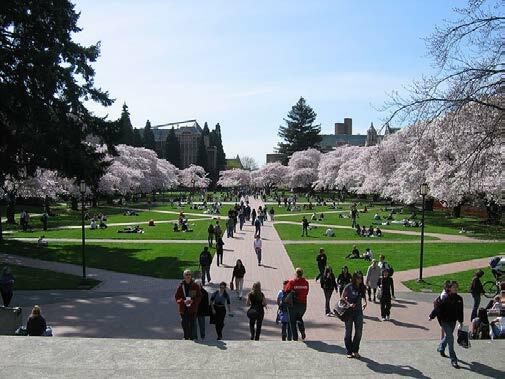 Permanent or fixed seating could be provided along the edges of the Quad but not within the space, to allow for the highest degree of flexibility in use. Precedent: Open area to allow for the highest degree of flexible use year round. 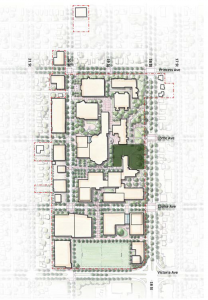 The design of the Quad should be integrated in the design of the adjacent plazas so that it feels like a larger contiguous space. The space should be designed such that a portion of it can be flooded during the winter for skating. Electrical conduits for music events and festival lighting should be considered in the design of the space.